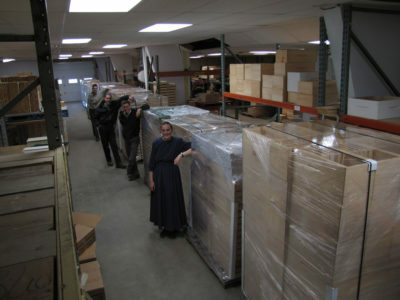 Beeline staff prepares to ship 15 skids of beekeeping supplies to a Canada dealer. 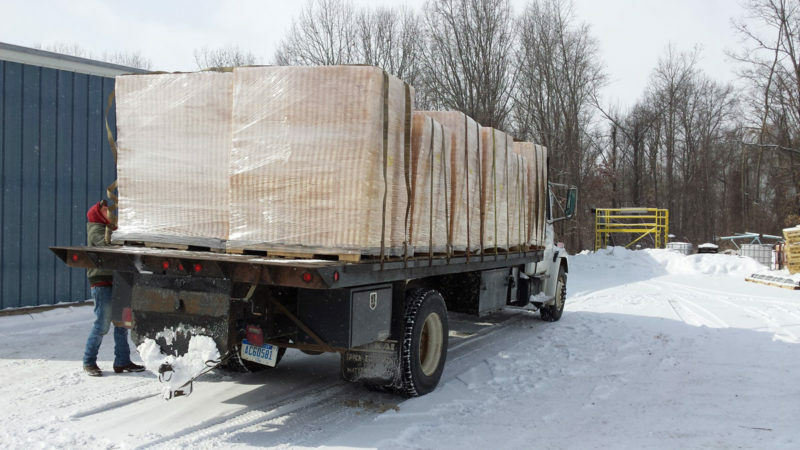 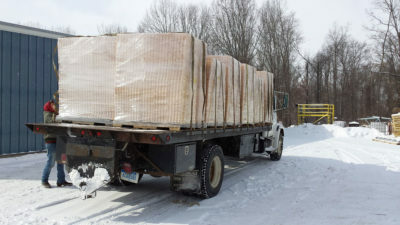 A large Michigan commercial beekeeper picks up 12 skids of unassembled Beeline woodenware. Beeline's location with a store entrance in Mendon, Michigan. 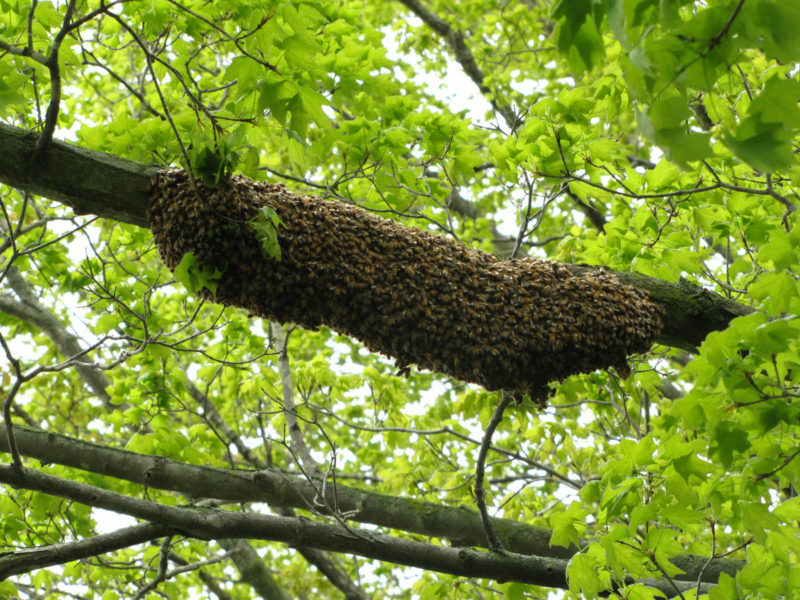 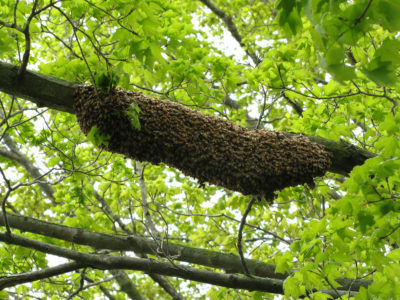 Wild bee swarm in southern Michigan. 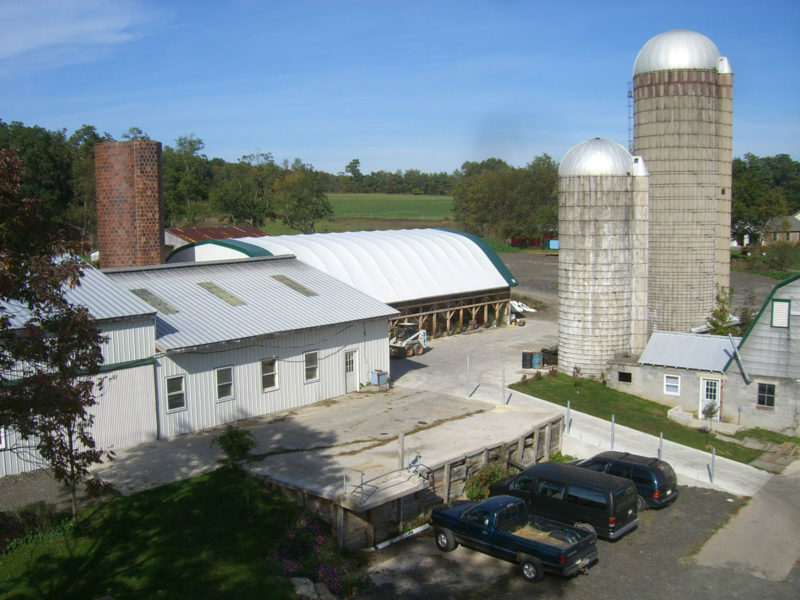 Overview of Beeline's location in Bedford, Pennsylvania from 2007 to 2012 before Beeline moved to Michigan. 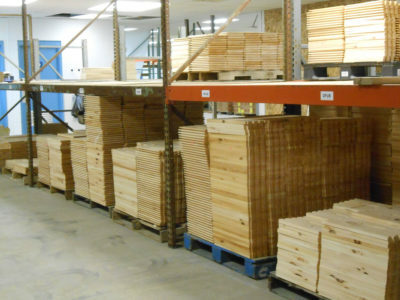 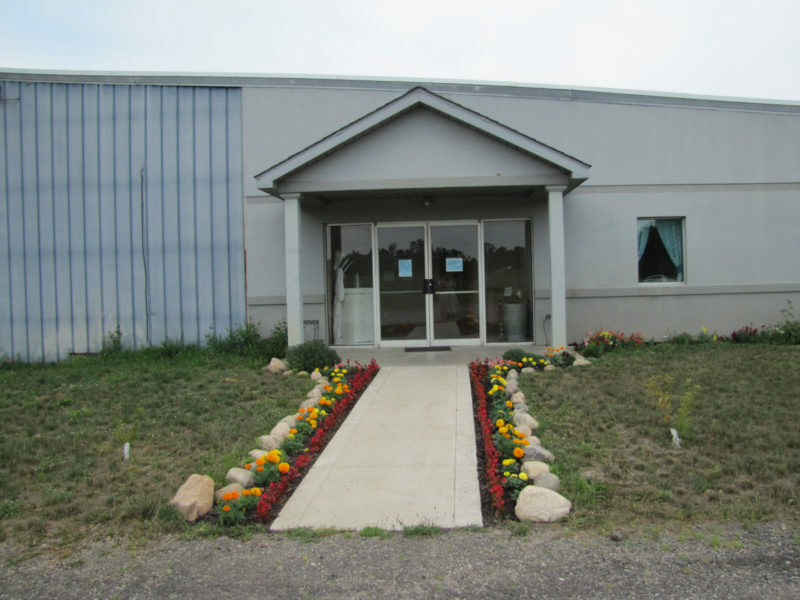 Beeline's product warehouse in Mendon, Michigan.